Wicked Jackpots is one of the hottest new casino sites around offering over 150 thrilling games and impressive bonuses, which is why we at Phone Bill Casino had to bring them to you. 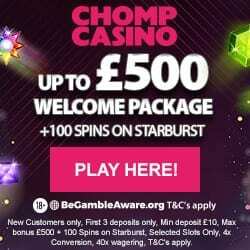 So if your preference is casino, scratch cards or slots including the household names Fluffy Favourites and Rainbow Riches, then we know this site is for you! Unlike many other casino sites Wicked Jackpots has a fair bonuses policy where as well as offering lots of bonuses, you’ll also be able to withdraw your cash winnings anytime you want. This means that they don’t tie up your money until you’ve played a certain amount of games, or earned a set amount because hey, it’s yours! What adds to their appeal is the fact that Wicked Jackpots is available to play on a number of mobile devices. So all you need is an Android, iPhone or Tablet and you can play when and wherever you like. This makes playing your casino games even more exciting because whether you’re travelling to work, taking your lunch break or relaxing in the bath, you can play your favourite games and hopefully win a jackpot or two! Your bonuses will begin at the point you register and make your 1st deposit on Wicked Jackpots. 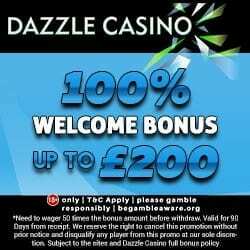 You’ll receive a 100% cash match bonus up to a whopping £350, which means that you’ll basically double your money and end up with £700 to play with. In addition to the credit you’ll also receive 25 spins for the featured favourite Rainbow Riches. 7th deposit 25% cash match bonus. With each deposit, you’ll also get bonus spins to play all of your favourite online slot games. With a site that never sleeps, who said being wicked was a bad thing? From the 8th deposit onwards you can enjoy Wicked Jackpots monthly cash back bonus. The amount you’ll receive will depend on your VIP scheme level. Unlike most casino sites, every Wicked player can get extra cash on all their non-winning bets. Special Agent Bonus – When you reach the silver, gold or platinum status you can play this bonus and earn extra casino chips and exclusive hot bonuses. All you have to do is ring up one of their Special Agents, add credit and the bonuses will be added to your account. Rock n’ Roll with Elvis Slots – The King has returned and is ready to dish out some mega wins. There are 3 bonus rounds, multiplied wins, spins and high payouts, Plus, you can play today for as low as 1p! We’re sure you’re eager to tell your gaming friends about Wicked Jackpots, so why not earn a little bonus for it. 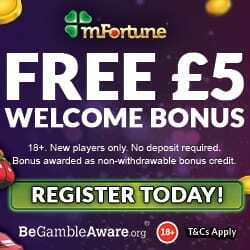 For each person you refer you’ll receive £10 bonus credit and although there’s a limit of 15 referrals per month, that’s still plenty of gaming credit. For the social media fans out there make sure you check out Wicked Jackpots Facebook, Twitter and Google+ pages, for the latest news on games and promotions. Walk the red carpet and join Wicked Jackpots VIP scheme from the point you register. You begin on the blue level and there’s 5 levels in total, each bringing bigger and better bonuses. Working through the levels is as simple as playing and you can enjoy bonuses such as a personal VIP Account Manager, increased daily deposit limits, weekly bonuses, monthly gifts and more! Wicked Jackpots offer a dedicated 24/7 customer service which can assist you with any needs or questions. You can do this via telephone or email, it’s as easy as that. They accept the usual banking methods including Credit and Debit Cards, Paypal, Paysafe Cards, Neteller and U Kash. So if you’re ready to join, simply head to Wicked Jackpots and begin enjoying their bonuses in a matter of minutes.